Tomorrow, February 18th, is a United States national holiday, Presidents’ Day. Originally the holiday was to celebrate the birthday of George Washington, our country’s first president. It was later changed to a national holiday to be celebrated on the third Monday of February to honor all US presidents (http://en.wikipedia.org/wiki/Presidents%27_Day_(United_States). 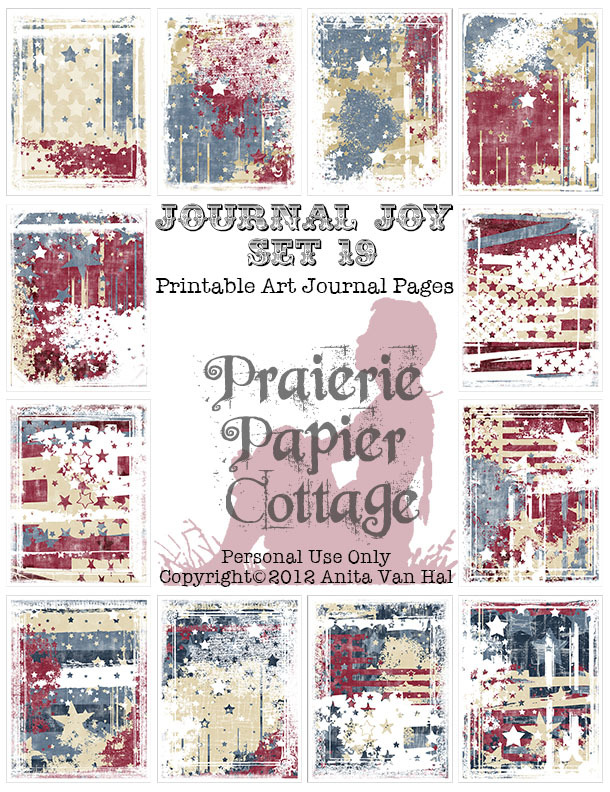 This is part of a digital art journal collection I created last summer, and is appropriate for all national holidays, including not only the 4th of July but Veteran’s Day, Memorial Day, and Presidents’ Day! Marjolaine, one of the dear ladies on my design team, created a project using this kit here: http://anitavanhal.com/freedom-by-design-team-member-marjolaine/ (there is a link in this post to her blog, Twelve Stones Scrapbooking for more details, check it out)! Most of my digital product is printable, meaning that all you have to do is print it out on your home computer and you’re ready to create! Each page is 8.5 x 11 inches. 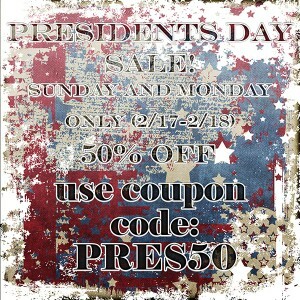 In honor of Presidents’ Day, I’m offering 50% off all digital product in my Etsy shop (http://www.etsy.com/shop/JustBYourself) through Monday, February 18th. 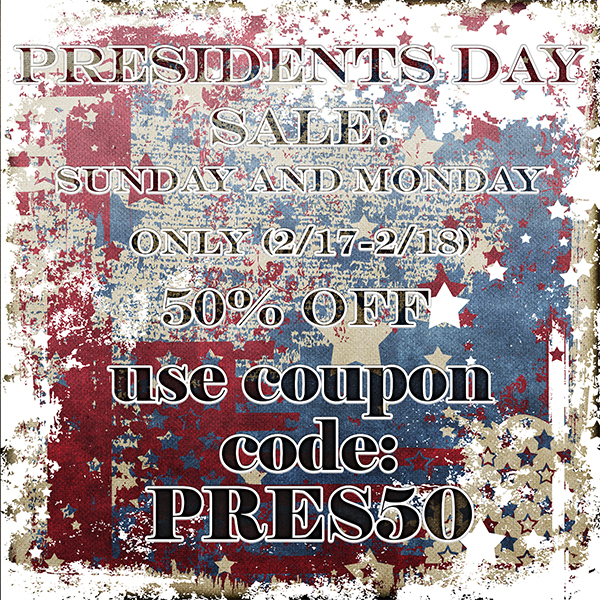 Please use coupon code “PRES50” in the shopping cart before checking out. No refunds can be given after the transaction is complete. All digital product is available as instant downloads! This means that as soon as your transaction is complete, you’ll receive an email with the download link for your order! No more waiting! If you do not receive the email immediately, please check your spam folder! What is your favorite patriotic holiday? Do you do anything to celebrate? Do you have any traditions (displaying your national flag, etc.)? Leave a comment for a chance to win this set of digital art papers! And, as always, thank you for stopping by!